1. Preheat BBQ to 400°. 2. Put Rustico pizza on a baking sheet and place on the BBQ. Cook for 7 mins. 3. Rotate pizza and cook for another 8 mins. 4. Cut the pizza into slider sized squares. 5. Meanwhile, grill your favourite kind of sliders next to the baking sheet until well done. 6. Sandwich those lucky sliders with your thin and crispy Rustico pizza buns. 7. 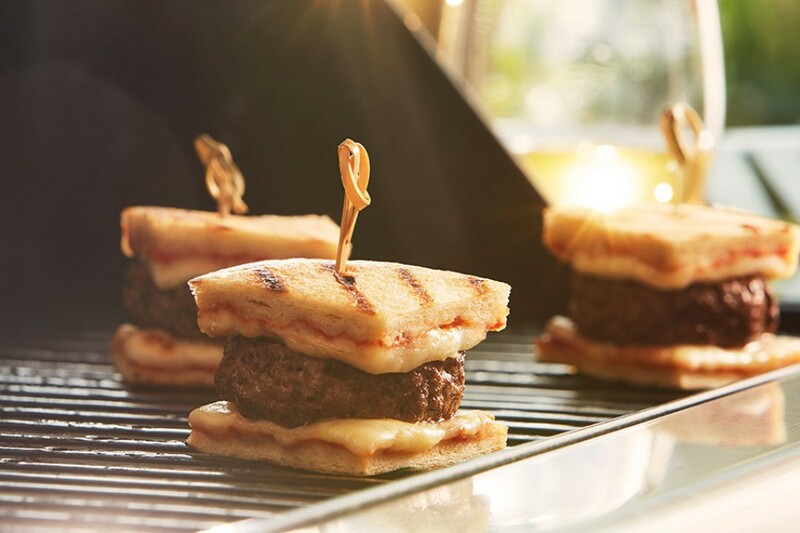 Marvel that you live in a reality where BBQ’d Rustico Pizza Bun Sliders exist. To get that professional grilled look, take your pizza off the baking sheet and grill it directly for about 30 seconds.